Cornwall, 1947. 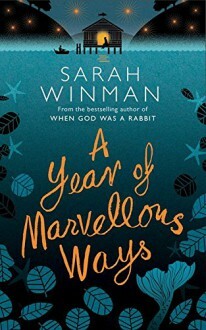 Marvellous Ways is a ninety-year-old woman who's lived alone in a remote creek for nearly all her life. Recently she's taken to spending her days sitting on a mooring stone by the river with a telescope. She's waiting for something - she's not sure what, but she'll know it when she sees it. Drake is a young soldier left reeling by the war. He's agreed to fulfil a dying man's last wish and hand-deliver a letter to the man's father in Cornwall. But Drake's journey doesn't go to plan, and sees him literally wash up in Marvellous' creek, broken in body and spirit. When Marvellous comes to his aid, an unlikely friendship grows between the two. Can Drake give Marvellous what she needs to say goodbye to the world, and can she give him what he needs to go on?